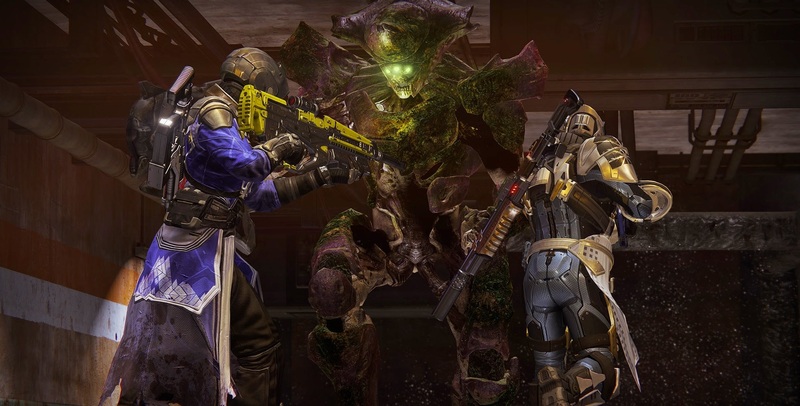 Taking place on Titan, the Destiny 2 Savathun's Song Strike sees three players band together in pursuit of a lost Fireteam, but they're about to encounter some nasty Hive creatures in the process. The Savathun's Song Strike is definitely one of the more challenging in Destiny 2, but we'll take you through beating the entire thing, in this Destiny 2 Savathun's Song Strike walkthrough. Just in case you need anything else relating to Destiny 2, make sure to check out our Destiny 2 guides walkthrough hub, where you can find additional walkthrough guides for every other Strike in the game, including the Inverted Spire and the Arms Dealer. You'll have a bit of platforming to do at the beginning of the Destiny 2 Savathun's Song Strike, in order to get from one platform to the other on Titan. Once you've made it into the rig and through the glass-looking wall, you'll encounter a horde of Hive enemies, including Thrall, Acolytes, and a few Wizards. Taking out all these minions shouldn't prove too challenging, and interact with the main door in the area once you're done, summoning a load of new Hive enemies. Wizards, Knights, Acolytes, and Thrall will all rush you, so make sure to utilise cover in staving off the assault. Advance through the two doors once you're done, dispatching Thralls as you go, and you'll eventually come to a Hungering Ogre mini boss, accompanied with Acolytes and two Knights. Make sure to use the cover of the doorway in this fight, as the Ogre is particularly tough (Coldheart is a great weapon to use here if you've beaten the main campaign). 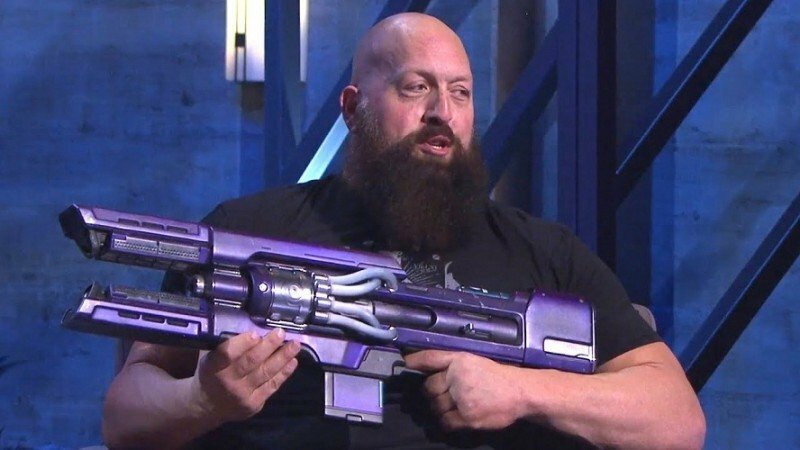 That's Coldheart, as presented by Big Show. Turn left after defeating the Ogre and Knights, and sprint through a series of winding corridors, until you eventually come to an Acolyte and a Revenant Acolyte. Defeat these enemies and advance through the doorway ahead of you, avoiding the Hive traps that have been left in the floor. Make your way to a huge, expansive room, and turn left to see a Savathun's Handmaiden mini boss, who is effectively a beefed up Wizard. Advance past where the Handmaiden was, and turn right, passing through the Hive-infested hallway. Drop down off the balcony to the ground below, and interact with the Hive crystal object at the bottom, which will then open up a door behind you. Defeat the Acolytes and Knights here, and you'll then have to smash 6 Hive Crystals around the hallway, which will then open up the walkway at the very end of the room. Continue to head deeper into Hive territory, and you'll come to another Hungering Ogre, surrounded by Acolytes. Take out all the Hive in this room, and proceed up a flight of stairs and along the walkway to the next area, where you'll find yet another Ogre, and yet more Acolytes. After this encounter, you'll have to make it past a group of beefed up Acolytes and Knights before you're tasked with destroying another 6 Hive crystals. Destroy all the crystals, and you'll proceed into a wide open area with a horde of Hive, including Acolytes, Thrall, Knights, and two Savathun's Handmaiden enemies. The Hive Knights are back in Destiny 2, and they're angrier than ever. At this point, one of you will have to grab the orb of energy from the pedestal, and place it where the marker points you to at the end of the area. It's not easy to get through, and you'll need to rely on your teammates if you want to make it through relatively unscathed. A door will now open at the end of the area, so head through the Hive-infested passageway, and kill the two Savathun's Handmaiden Wizards you encounter at the end. Drop down through the hole in the ground, and head through the dark tunnel till you run into a pack of Cursed Thralls, all of which you should take out at range. Press forward through the tunnel, and you'll eventually come to the big showdown with the titular boss of the Savathun's Song Strike: Savathun's Song itself. There's honestly not that much to the Savathun's Song boss fight, it's basically a high-powered crystal that repeatedly bombards you with Void attacks. Make sure to keep back a fair distance from the boss, and prioritise the minions that are summoned into the arena over the boss itself, to free up some breathing room. As we mentioned earlier, Coldheart is a great weapon for the Savathun's Song Strike, but it really comes into its own in the boss fight. If one of your team has Coldheart, they should repeatedly fire on the boss while the other two defend the player, since Coldheart's damage builds up over time. Roughly two thirds through the Savathun's Song boss fight, the boss will encase itself in a protective area, summoning in two Savathun's Handmaiden Wizards to protect it. Take out the Wizards, then look around the arena for a ball of energy that the boss has dropped. Pick this up, and boost yourself up to the pedestal in front of Savathun's Song, where you can use the ball to deactivate the protective area. The boss won't use this move twice, so make sure to hit home with all the firepower that your Fireteam can muster while using cover effectively, and the Savathun's Song boss won't prove overwhelming. If you need anything else on Destiny 2, then head over to our Destiny 2 Strikes hub guide, where we'll be continually adding additional Strike walkthroughs to ones we already have, such as the Inverted Spire. Alternatively, you could check out our Crucible guide, where we have a breakdown of every map in the game. We've also got guides on how to get the Rat King in Destiny 2 and how to get the Mida Multi-Tool in Destiny 2.